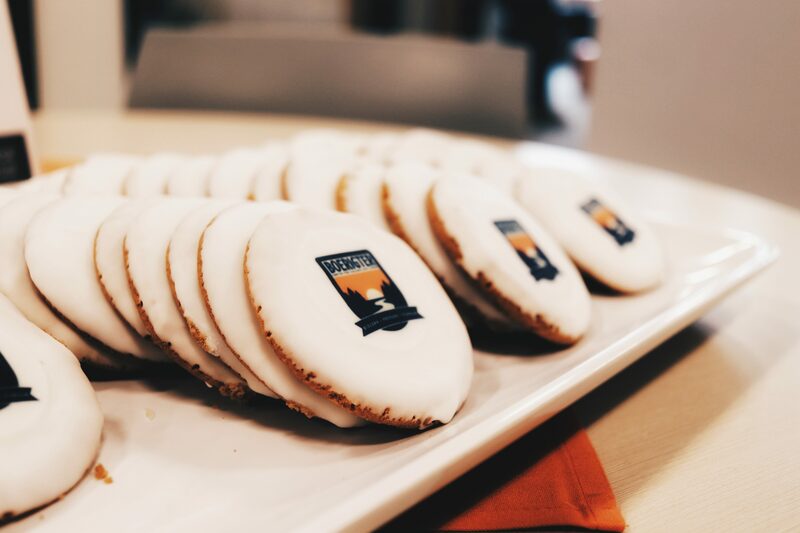 H Cookies get a face-lift for the Boerigter Center’s Ribbon Cutting Ceremony. It’s official! The Boerigter Center for Calling and Career is now up and running in full swing after this past Friday’s Ribbon Cutting. Students, faculty, and staff all gathered for the celebratory event as the Boerigter’s were paraded in on golf carts. Trygve Johnson started the ceremony off with a time of prayer to bless the center. Fellowship ensued shortly after the ribbon was cut inviting students in to utilize the new space. The Boerigter’s spent some time socializing and greeting people who were there to celebrate. After a brief conversation with Sibilla Boerigter, it is apparent that they are excited to give back to the college in this way. They were both so impressed with how quickly and efficiently the college got the project up and running. When the idea was first proposed, they were sure it would take several years to see the dream fully come to life. However, the Boerigter Center for Calling and Career is now excitedly welcoming students into the space. 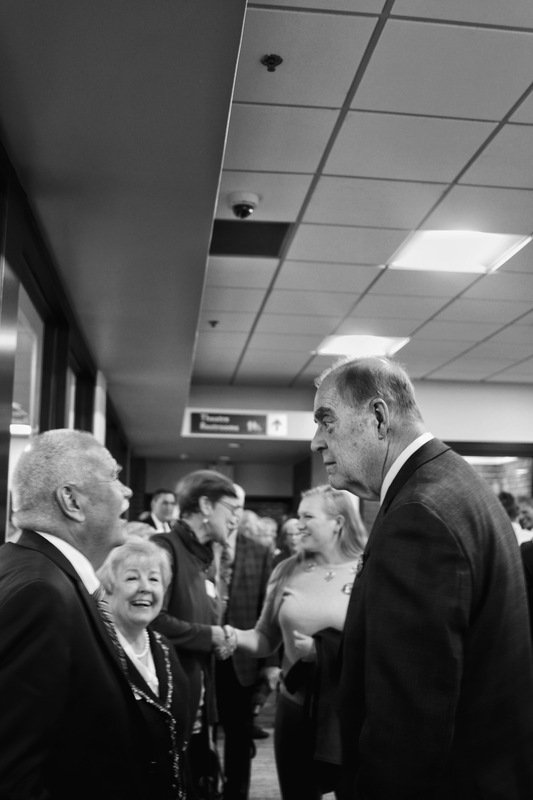 The Voskuil’s (left) engage in a lively conversation with George Boerigter. Thanks to the generous donation of George Boerigter from his company SoundOff Signal, Hope College is now able to cater to an even wider student population. The open-layout concept and central campus location were both highly intentional choices in order to make students feel comfortable and welcome in the new space. Whether you are a first-year student, transfer, or senior, the Boerigter Center for Calling and Career can help get you on the right path for a blossoming future.